Today Mobile Phone is most important part of over life style. Among all other devices Android Smartphone are continued to make their grip stronger in Smartphone world. AS the use of Android phone Hot topics are also increased as compare to past few years. 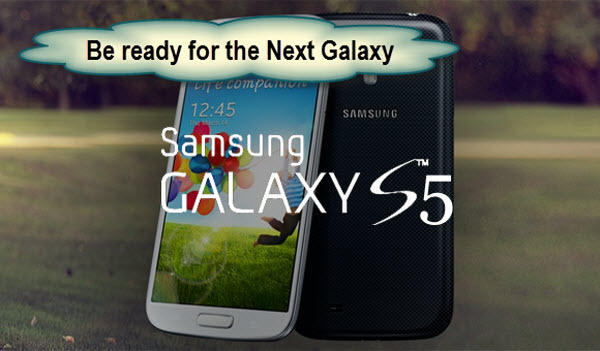 As per the recent news world’s largest mobile company Samsung will going to launch their new device called “Galaxy S5″. The prices of this device still not confirm, but it will be near about Rs 51,000 to 53,000. The excellent camera features is fast auto focus, it’ s helps you to capture moment of fast movement very quickly and clearly. It will launch with latest Android OS version 4.4.2 KitKat, everyone waiting for that since its announced by Google. It has a 2800 mAh, its really very good feature of this Samsung Galaxy S5. 5.1″ FHD Super AMOLED (1920 x 1080), 432 ppi Display & 142.0 x 72.5 x 8.1mm, 145g Dimension. IP67 certificated Dust & Water Resistant, Emergency Mode, Ultra Power Saving Mode, S Health, Quick Connect, Private Mode, and Kids Mode. All given above features included in Samsung Galaxy S5. Read here about other Android Smartphone which really affordable for you. Hope you like this post and feel free to write your opinion in comment section below.